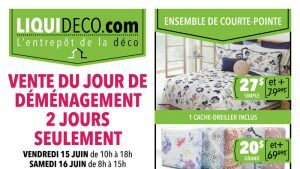 June 2018 sales not to be missed! 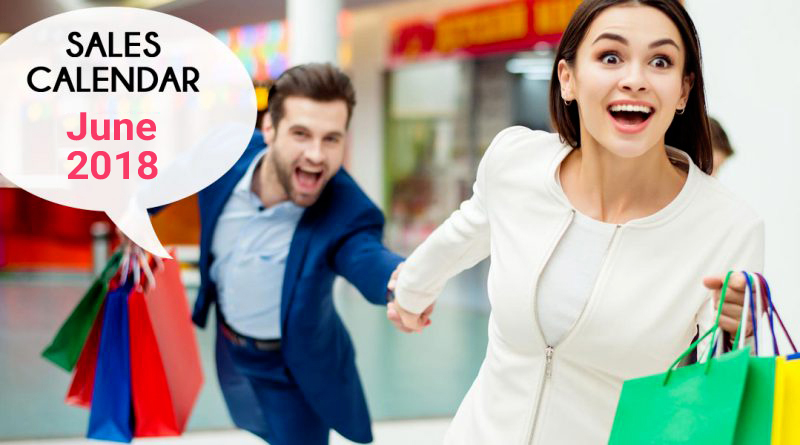 In this new blog post, we are listing all sales happening in June 2018 that you don’t want to miss! 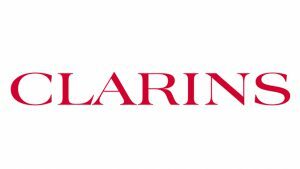 Including: MATT&NAT, Clarins, Parasuco, Louboutin, Gucci, Prada, Dior, Douillette & Bassinette, Kollontaï and many more! 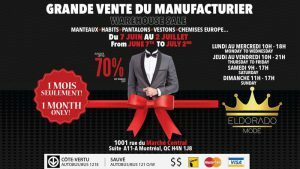 Manufacturer’s sale, 2 days only on June 15th and 16th! Up to 80% off curtains, comforter sets, pillow covers, mattress covers, assorted bed sheets, assorted cushions, kitchen & bathroom accessories! Plus, we pay the taxes! Spring sale at Montval! 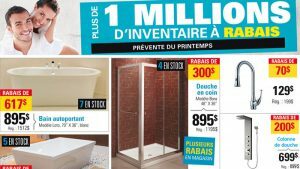 Up to 50% off freestanding bathtubs, showers, shower columns, bathroom faucets, sinks, bathroom sets. * 25 bathrooms in our showroom. More than 1 million $ of inventory at discounted price! Take advantge of D&B’s Spring Sale. From May 31st to June 14th. Quality products for babies and kids form 10 to 60% off on selected decor items, bedding, furniture and strollers. 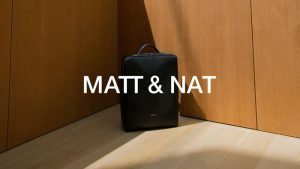 MATT & NAT Sample Sale – Up to 80% off June 5 to June 9. MATT & NAT is a vegan company, no animals were hurt making their products. Huge liquidation sale, 4 days only, June 7-8-9-10, 2018. Imported women’s clothing sold at incredible prices! Save up to 80% off well-known fashion brands. End of season, everything must go! First come, first served. 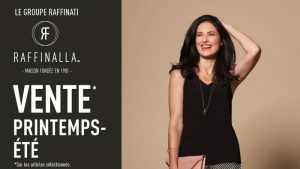 Orly & Patrizia Luca Milano women’s clothing mega warehouse sale, June 7th to 9th in Montreal. Sweaters, t-shirts, pants, skorts from $20 to $50! 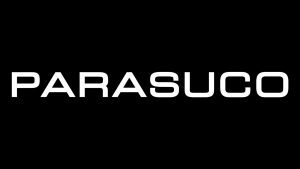 Only 4 days – June14th to 17th, 2018 – Don’t miss Parasuco’s big warehouse sale! Save up to 70% off on men & women’s jeans, t-shirts, jackets… New stock added daily. 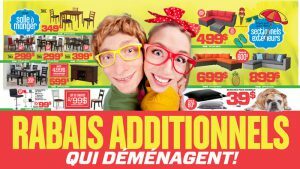 L’enfantillon: Huge Summer Sale 40% off! 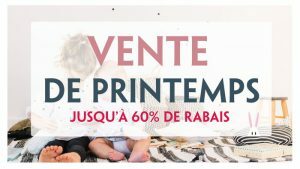 Don’t miss out a Summer Sale at L’enfantillon from June 7th to 10th! 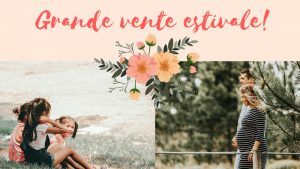 Come shop our maternity & kids clothing collections, designer samples at 40% off and get additional 20% off online with the promo code “Estival”. Back by popular demand! 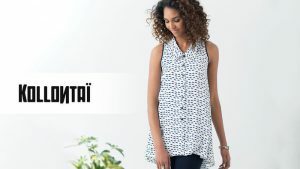 Sale June 5 to 8 save big on Spring & Summer women’s fashion. Samples + overstock (all sizes available) Perfect Fit Pant, Comfort Fit Leggings, sportswear, coats, belts & scarves. 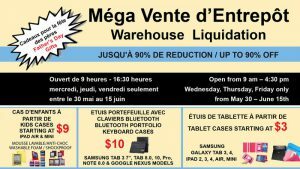 Warehouse mega sale, May 18th to June 10th! Spring & summer clothes for the entire family. Biggest sale ever! Wide variety & brand names from $0.50 to $25, ladies mix & match swimwear from $5, kids swimwear from $7! New arrivals daily. 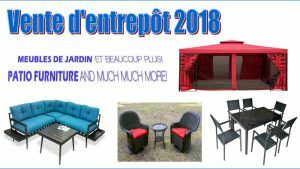 Patio furniture warehouse sale and more – don’t miss out – Until June 17! All taxes are included. Enjoy our best prices of the season + we pay taxes on patio sets, garden furniture, hammocks, armchairs, outdoor loveseats, gazebos, etc. Our seasonal workshop sale is back at Melow, from Friday June 8th to Sunday June 10th, 2018! Enjoy discounted prices, up to 70% off, on previous collections (sizes XS to XXL). Proudly made in Canada. 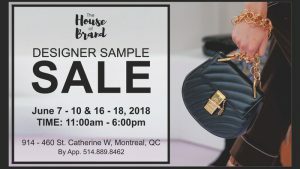 Anaïs Designs mega sale on Friday & Saturday June 8-9, 2018 in Montreal. High quality dresses from $80 to $200. New 2018 collection: prom night, bridesmaids, cocktail events… First come, first served! 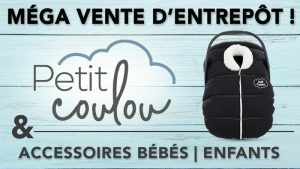 Petit Coulou car seat covers mega warehouse sale with discounts up to 75% off*, from June 7 to June 9! Also, save up to 50% on baby and child products : hats for all seasons, boy & girl socks, girl tights, toys. Come and see us! Manufacturer sale starting June 7th, 2018. Clothing for men & boys (over size) from well known brands at manufactures prices! Save up to 70% off coats, suits, pants, blazers, European shirts & more! 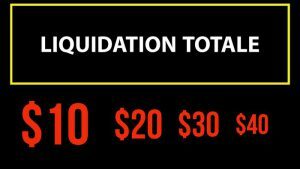 It’s Moving Liquidation at Surplus RD! Before the Big Move, enjoy additional discounts on brand new furniture, mattresses and household appliances! Get free mattress cover with purchase of luxe selection mattresses Nano Graphite, Ultraviolet or Dream Sensation collections! Huge warehouse sale on women’s and men’s shoes starting at onty $20! From June 6th to 9th, shop our vast selection of merchandise and amazing deals. 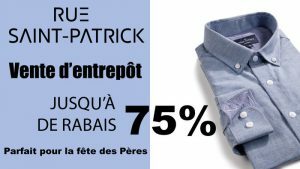 Rue Saint Patrick sale up to 75% off ! Rue Saint Patrick brand opens its warehouse for a mega sale on mens clothing up to 75% off. Several articles will be reduced at incredible prices such as shirts, pants, sweaters, shorts, ties and bags. For 2 days only, visit our workshop for one of our bi-annual sample sale! Find new creations signed Kollontaï at a very low price and including many unique pieces! Mega sale on women’s clothing imported from Italy at the Maska Mode outlet store at Fairview Pointe-Claire. Come treat yourself with unique fashion clothing pieces from Italy starting from $10. Be the first for best choice! Accessories for tablets & computer warehouse liquidation! Up to 90% discount on the entire inventory: tablet cases starting at $3 and for kids starting at $9, bluetooth keyboards + cases from $10, car USB memory sticks, dual car USB chargers, etc. Best deals on everything for baby! 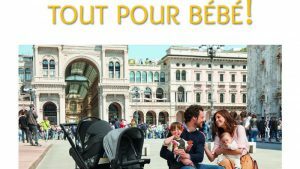 Shop amazing deals on everything for baby at Goldtex Baby Outlet! Get huge savings on a wide selection of clothing, strollers, car seats, highchairs, cribs, bedding, nursery items and much more! Top quality brands, all at great prices! On June 9 & 10 – Don’t miss the Evolve Toys warehouse sale and save up to 60% on selected items! 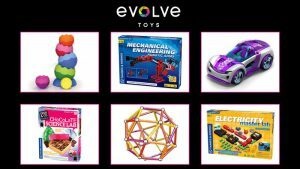 Evolve Toys carries the most innovative and best educational toys for kids ages 6 months to 14 years old. 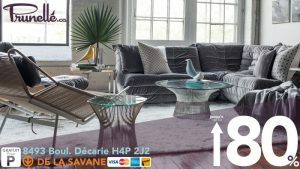 We are very excited to announce our first ever warehouse sale in Montreal, proudly offering a wide variety of mid-century modern reproduction furniture at reduced prices. Find great deals on select items up to 80% off the retail price! 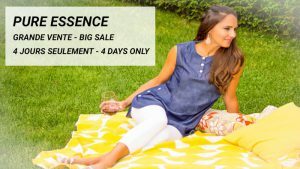 Great women’s fashion sale by Pure Essence, 2 days only, June 8-9, 2018 in Montreal. Pure Essence has been created for the woman of today, combining comfort and fabulous look. You will save 50% to 70% off retail price, sizes XS to XXL. 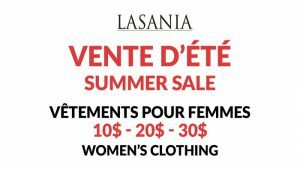 Lasania women’s clothing sample sale is back! You will pay only $10 to $30 for all our samples on sale! Fashion foward styling in a wide variety of easy care fabrics. Perfect timing to renew your wardrobe! 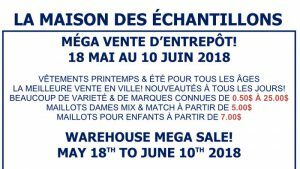 Marsolais will organize a large warehouse sale for a full week, from Monday 4th until Saturday 9th June 2018. Enjoy discounts of up to 90%! A minimum of 10% off on all products: flowers, plants, pots, supplies!